the 5000 inhabitants and visitors. The capital of the island Megalochori is 2,5 klm. away from the Skala and Limenaria 6,5 klm away from Megalochori. 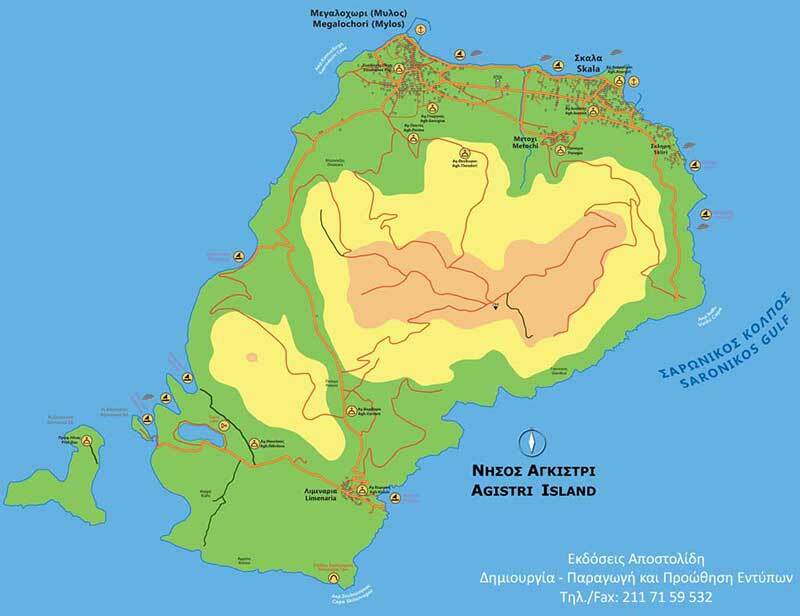 In 2011 Agistri is proclaimed "Green island" from prefecture of Pireus and National Technical University of Athens.